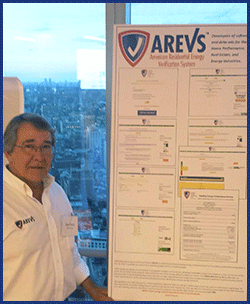 AREVS: American Residential Energy Verification System is proud to announce its newest product, the Heating Energy Assessment Tool (HEAT). HEAT is a web-based software application that yields extremely accurate home heating and cooling energy efficiency ratings, and projects annual heating, cooling, and domestic hot water costs. HEAT can be used with data from one heating season utility bill. No physical inspection of the premises or tools are necessary. 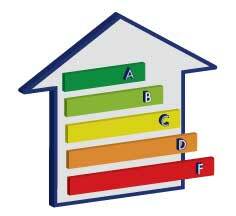 This allows both off site and en masse ratings of the national and international housing stock. HEAT is available for personal and professional use immediately. Please visit https://www.arevs.us/HEAT.php for a free demonstration. HEAT is the ideal first line heating energy assessment app for homeowners and professionals who need to know exact heating and cooling energy consumption and costs,” said Dean Durst, Co-founder and CEO of AREVS. “No other tool is as accurate or easy to use. All you need is one utility bill and 5 minutes to find out how a home is performing, if it needs an asset based energy audit, weatherization upgrades, or retrofit work to improve energy efficiency and lower the home’s operational costs. Understanding a home’s heating energy efficiency just got a whole lot easier! Rising energy costs and a fast paced residential housing market mean that renters, sellers, buyers, brokers, and lenders need to accurately value home energy consumption costs and efficiency. HEAT is the only performance based home energy efficiency rating software available in the US. How will the Green Button Initiative work for you? What is the Green Button Initiative? Launched in January 2012, the Green Button Initiative provides utility customers with their home energy usage data, directly from the utility’s website. Just click the green button icon and go. Look for this button on your utility’s website! Having your home energy usage data is good. What you can do with it is even better. 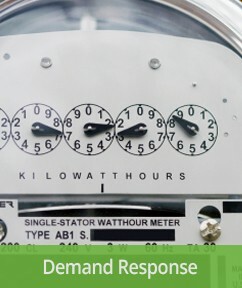 Data from your utility company about your own energy usage can help you reduce high energy costs. You can see exactly what you’re spending on heating, cooling, and hot water. 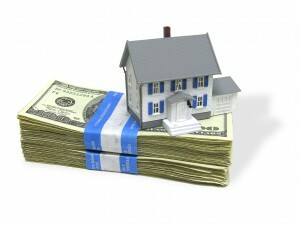 Understanding your home energy costs is the first step toward using home energy efficiency to reduce those costs. It may be as simple as changing the way you use your home, or you may decide to hire a professional to complete a whole house energy audit. According to the Department of Energy, which is advising utilities and businesses on data standards and program implementation, only 35 companies currently support the Green Button Initiative. More have pledged to do so, and many others will join the program in the future. If you want to know more about the technical aspects of the Green Button Initiative, check out the independent web site Green Button Data, or the US government’s data.gov Green Button web site. Whether you buy or rent your home, improving your home’s energy efficiency can make the difference between a place you live and the place you love. Here are our Top 5 reasons to improve your home energy efficiency. If you like them, sign up for our email newsletter and get tips and DIY projects, coupons, and product and service discounts delivered to you each month. 5. A home that consumes less energy creates less pollution. Energy created for residential buildings is largely created by consuming fossil fuels. By-products of this energy creation are greenhouse gases and other pollutants. These can accumulate in the air, ground, and water, and damage the health of the environment. 4. A home that is optimized for energy efficiency has less of an effect on man made climate change. . Energy efficient houses consume less energy, and they also make the most effective use of the energy they do consume. This means fewer damaging heat emissions and chemicals enter the environment. 3. Energy efficient homes are more comfortable homes. A programmable thermostat can keep your rooms at the perfect temperature day and night, season to season. Low-e windows keep your rooms comfortable year ’round, and they can block damaging UV rays. Not only are new appliances more energy efficient, they’re quieter and easier to clean and repair. All of this makes it easier and more confortable for you to love where you live. 2. Energy efficient homes are less expensive to own and operate. Replacing older appliances with Energy Star rated models will save you money every hour they’re in service – and you may qualify for a rebate, too! Other home improvements, like weatherization and air sealing, keep your expensively heated and cooled air inside where it belongs, saving you money on your heating and cooling bills. 1. Energy efficient homes are healthier homes for you and your family. Air sealing and better insulation keeps your home comfortable, and it can also keep out moisture, mold, and pests that make your family sick. A fully serviced HVAC system can improve the indoor air quality of your home, helping you and your family breathe easier and sleep better. There are many reasons to improve your home’s energy efficiency. Whether you want to reduce your costs of owning or renting, sell for the highest price, or keep your family comfortable and healthy all year long, home energy efficiency can deliver.